The Finnish legacy company which is now powered by the Finnish startup HMD Global, Nokia is finally back! Currently we have two old timers making a comeback this year at MWC i.e BlackBerry and Nokia. BlackBerry has already launched the KeyOne smartphone on February 25.
said Brad Rodrigues, Head of Nokia Technologies. It was an emotional moment to listen to the familiar Nokia theme tune being played over and over again during the event. The brand that gave most of us our first phone is back! Nokia is planning to attract more users who are not much familiar with Nokia & its design. The new phones are not exactly manufactured and sold by Nokia. In fact, HMD Global, another Finnish company, has licensed the Nokia brand to develop, build and sell new devices. 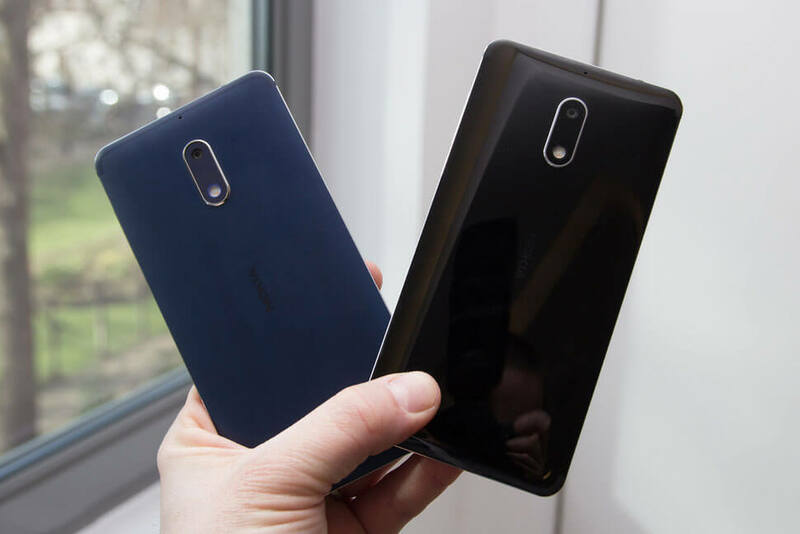 However, Nokia is expected to have some say in the quality of the final products. Coming on to the devices, Nokia has launched 3 new devices & a improvised version of the iconic Nokia 3310. It is offering a pure Android experience which we all know has widespread acceptance. And it is offering the kind of price points that might bring it back into the reckoning across the globe. Of the all, Nokia’s 3310 could be available in India by May, and will come in an array of colours. 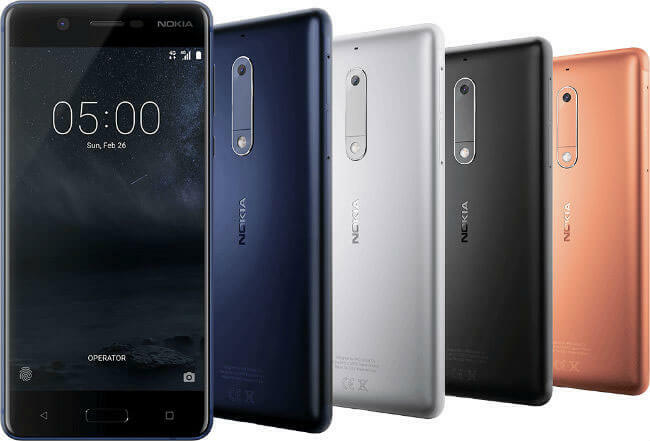 Nokia 6: Specifications, design & price. 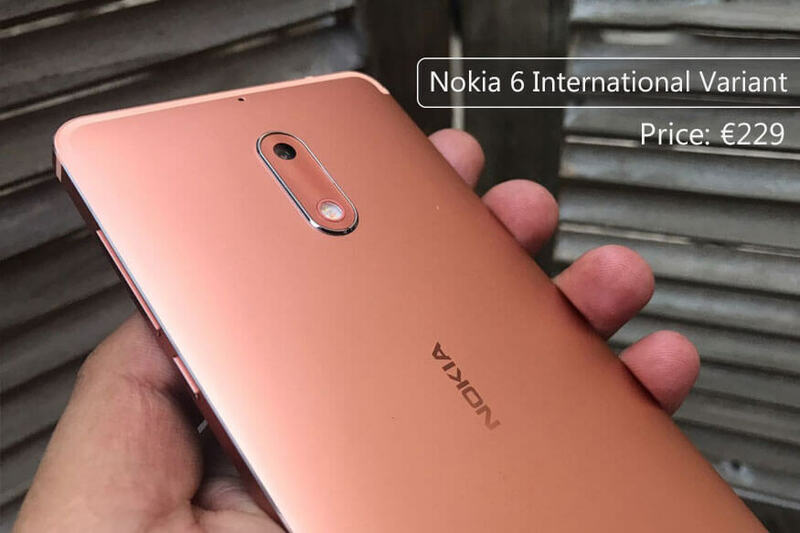 Nokia 6 has already launched in China, and what we’re getting now is the international variant. The phone sports a 5.5-inch display, Qualcomm Snapdragon 430 processor, 3GB RAM+32GB storage. 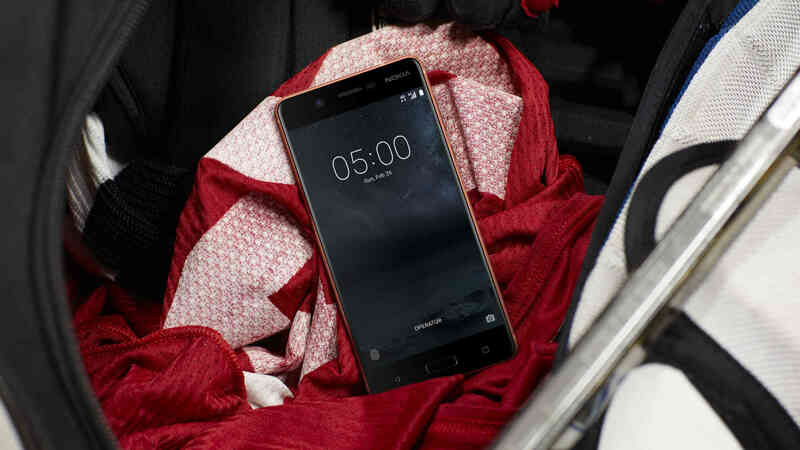 That’s a small step down over the Chinese version, but Nokia has also introduced an Arte Black special edition handset that restores those figures to 4GB/64GB. Nokia 6 Arte Black is a limited edition variant that is launched to celebrate the worldwide Nokia 6 portfolio. The Nokia 6 comes with 16 MP rear camera+8MP front camera and 3000 mAh battery. According to HMD, the dual amplifiers will “deliver a 6 dB louder sound than a regular amp”. Nokia 6 also has Dolby Atmos. The Nokia 6 sports a unibody design that is made from a single block of 6,000 series aluminium, says HMD. The device will be available in Matte Black, Silver, Tempered Blue and Copper colours and will retail at an average global retail price of €229. Local pricing and exact release date are yet to be confirmed, but pre-orders open today. Nokia 5: Specifications, design & price. The Nokia 5 sports a 5.2 inch HD display, designed from a single block of aluminium. The display of the smartphone is protected by Corning Gorilla Glass. The Nokia 5 runs on a Snapdragon 430 processor with 2GB RAM and 16GB internal storage capacity, which can be extended to 128GB. The device is powered by a 3000mAh battery. Along with all the Nokia phones, you get unlimited Google Drive storage. The device will come with Android 7.1.1 Nougat out of the box and will be available in Tempered Blue, Silver, Matte Black, Copper colour variants. The Nokia 5 will be priced at 189 euros (Rs. 13,301). The Nokia 5 will ship alongside the Nokia 6 starting Q2 of 2017. 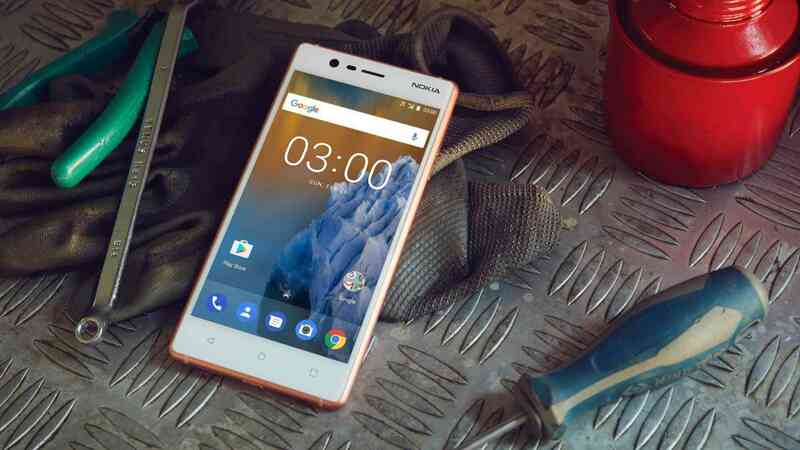 Nokia 3: Specifications, design & price. Nokia 3 is a low-end model with a polycarbonate body that is held together by an aluminium frame. It has a laminated 5-inch display and is powered by a MediaTek 6737, has 2GB RAM, 16GB storage. There’s also an 8MP front and rear cam. It runs the Android 7.1.1 Nougat. 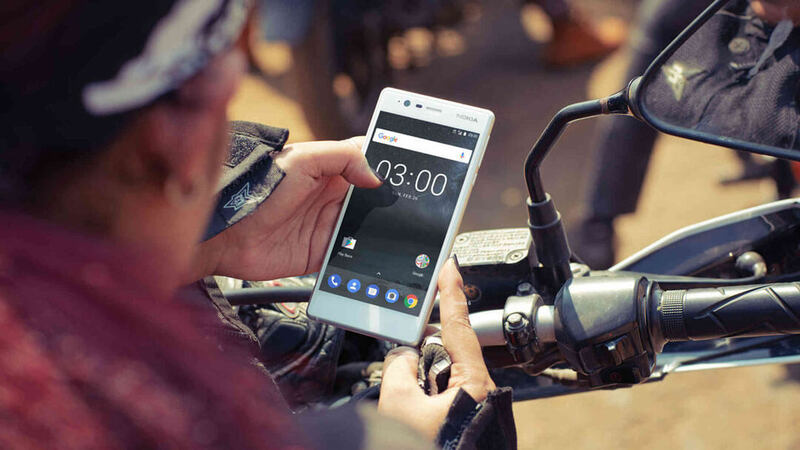 The Nokia 3 smartphone is aimed at the ultra-budget user and is priced at 139 euros (Rs. 9,792). Again, the Nokia 3 will be available in 4 colour options – Silver White, Matte Black, Tempered Blue and Copper White. You can see the complete specs sheet here. The reliable Nokia 3310 is back with increased battery life for the feature phone user. According to HMD Global, the new 2017 Nokia 3310 is thinner, lighter and incredibly durable. The Nokia 3310 will give users a 22 hour talk time and a 1 month standby time. Guess what? new Nokia 3310 memes are coming too! Talking about the specs, the new 3310 will come with 2 MP camera with LED flash, A headphone jack & a 2.4” curved window with polarized layer for better readability in sunlight. The new 2017 3310 will come in both single SIM and dual SIM variants. The device will have 16 MB storage plus a MicroSD card slot with support up to 32 GB. 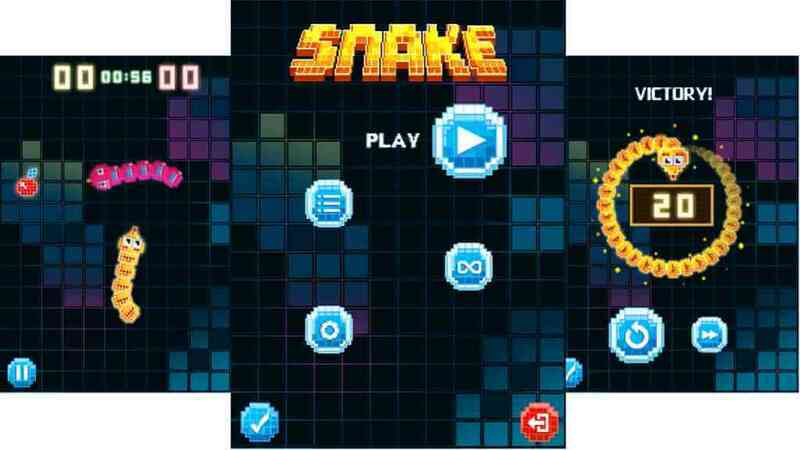 Last but not the least, It will feature Snake game, yes, THE SNAKE is back and so is the age-old Nokia ringtone. 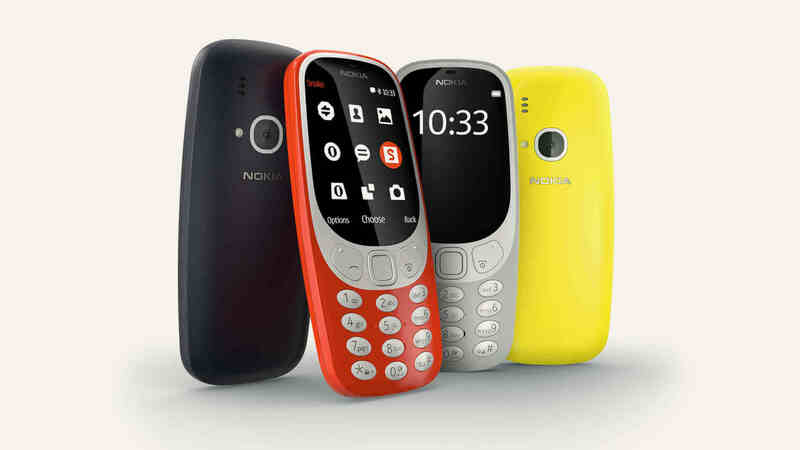 The Nokia 3310 is available in four colours – Warm Red and Yellow, both with a gloss finish, and Dark Blue and Grey both with a matte finish. The Nokia 3310 will retail at an average global retail price of €49. The smartphone industry has come a long way since the departure of Nokia. Tier one companies like Samsung, Apple, LG, HTC, etc., have been investing billions of dollars in R&D to produce the best in class smartphones. On the other hand, Chinese OEMs have streamlined and optimized their processes to manufacture phones that are high on specs and low on price. It won’t be an easy task for Nokia to return to its old form & gain the same old trust. Things have changed a lot. HMD Global that will be developing and marketing Nokia phones is a nascent organization started in May 2016, so expecting them to perform maneuvers, atleast in 2017, is being over optimistic. On the other hand, Foxconn who is doing R&D and manufacturing has no expertise in mobile development. But now Nokia has truly re-entered the smartphone market and seems to heading the right way. The company claims it is “aiming to be one of the top smartphone players in the industry.” Would it be possible? Well, only time has the answer to Nokia’s fortune. Paradigm Shift in Solar Power with Solar tiles - Let's Welcome a Greener World!